Candace Craw-Goldman has given a brilliant tribute to the memory of Dolores Cannon while she was with us on this plane. Now she continues her work and in a much expanded way, with her much expanded Consciousness, from the other side of the veil. As I read this, I got the tingling that indicates to me that Dolores is here with me. She manages to get the messages we need to me and others, even if we don’t hear or see her. Blessings to the great lady and to all who are touched by her. It’s been a whole year since Dolores Cannon died. At the time of her death she and her work were more popular than ever. She was on the brink of releasing her 18th book. She had just completed teaching a series of courses that included the largest live Quantum Healing Hypnosis Level 1 class in history. There were more than 120 people in attendance. It was amazing to be there to witness the packed auditorium and the standing ovation she got just walking down the aisle that first morning. Almost exactly one month after completing those courses, Dolores Cannon passed away, Oct 18th, 2014. Much has transpired in the world, and in the world of QHHT- since Dolores made her transition. It is very clear to me, and to others whose passion it is to carry on with her work and mission, that her energy is still very present and she is still communicating and assisting humanity in her own unique way. I’d like to gently suggest it’s not at all too late to make a genuine connection with the great lady. As a matter of fact I, and many others, see plenty of evidence that shows it’s actually easier to connect with her now, from her current state and focus, than it was when she was earth-bound. Dolores Cannon is forging ahead with her unique talent of information discovery and communication- and she is bigger and more present than ever. Humans are waking up to our multidimensional and expanded self; the one that can, at certain times, access information from other realms, other dimensions and from those great beings, like Dolores, who are on the other side of the veil. I have also been getting phone calls and emails from people who have been directly contacted by Dolores in dreams and meditations and in other ways. They usually start those conversations with, “You won’t believe this, but…wait, maybe you would!” Yes, I usually do absolutely believe them. 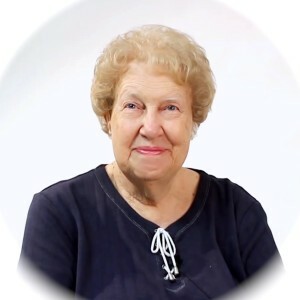 The messages Dolores has been delivering to people, some who never even heard of her until she has communicated to them, are varied of course, but they are always encouraging, and uplifting and often humorous. But, those of us still existing in physical bodies still acutely miss her human self. I know I sure do. For those of you who never had a chance to be in her presence I offer some of my own favorite moments below so that you can get a glimpse of the ‘ordinary’ woman who continues to make an ‘extra-ordinary’ impact. I remember the first time I saw Dolores Cannon in person. It was July, 2008. 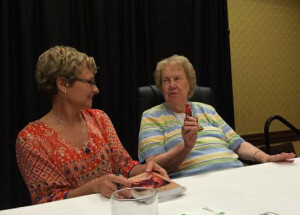 She was walking into the hotel conference room at the Fayetteville, Arkansas Holiday Inn, ready to begin teaching her method of past life regression now referred to as QHHT. It wasn’t a large class, there were maybe 25 of us who had come to learn from the great master, but a definite hush came over us as she slowly walked to the front of the room where her table was set up. She was one of those people who changed the energy of the room when she walked in. She was absolutely aware that she had this affect on people but she was not at all smug about it. Dolores never walked anywhere quickly, at least as long as I knew her. Dolores would sit in her chair and slowly look around her table, making sure all that she required was nearby. Her glass of water, her class bell, her little clock to keep an eye on the time. She did bring a small folder but it mostly contained letters from others she might want to read to the class. Her mind was as sharp as a tack and she didn’t need reminding or recall of her own work and research. She would not be rushed. Not then, and not ever, was Dolores Cannon rushed or frazzled. This part of her routine was almost like a ritual. She would touch and ever so minutely re-arrange each item in front of her, acknowledging its presence but also re-adjusting their alignment and distance. The water glass needed to be here, the clock set off just so. All the while her class would respectfully watch and wait for her to be ready to acknowledge that they were there. When Dolores was sure she had all she needed- she would then look up and take a great big breath, sigh and smile and say simply, “Okay. I think I have everything.” It was only then she would begin to look up at who was in front of her and begin to speak. Dolores was measured and patient in telling and retelling her stories. She was an expert in weaving together history and various subjects. She never prepared notes to give a lecture. She didn’t need to. Dolores could also be very blunt at times, especially in classes. She did not often bow down to political correctness and most of us excused her if and when she did not. She had no fear of putting someone acting foolishly in his or her place. She was strong and opinionated, but at the same time, given reason and proof to change her stated opinion, she would do so and claim that knowledge needed to grow and wisdom was at work to create that expansion. On stage, on the radio or in video Dolores was a star and a fountain of information flowing forth. She was a perfect combination of regal queen, tough investigator, pragmatic researcher and approachable grandmother. A true consummate storyteller, she regaled her audiences with fantastic tales and extraordinary discoveries. Her delivery was infectious and her timing impeccable. Off stage, Dolores showed another side. When she wasn’t “on” she talked about the ordinary things in life like we all do. She gave me the great honor of allowing me to assist her in class her last couple years so I was able to be there for many ordinary moments. She worked almost every waking moment. How could she not? Doing all of those sessions, writing all of those books. But she would ask me frequently if I was resting and having fun. She would ask me if I made time to ride my horses. I told her I tried but I just stayed so busy. She would laugh and remind me to take time for myself to rest. I once chided her that I bet she didn’t do much of that herself. She just smiled. I asked her what she liked to do if she wasn’t researching or writing. She said she liked to make soups in her kitchen, and she liked to watch some tv while she was editing books. One Dolores story in particular I am fond of recalling happened during a small, advanced QHHT class a couple of years ago. We were all waiting for her to appear and having refreshments. I brought a bottle of kombucha, a fermented drink and I was having trouble opening the overly tight cap of the bottle. Each person in the room tried to open that bottle and had no luck when Dolores walked in and noticed our trouble. She said, “Candace, come here, I’ll open that bottle for you.” Now normally it’s the younger people who open bottles for 80 year-old people, but I handed Dolores my drink wondering what in the world she had in mind. She walked over to the door of the small hotel conference room we were in and said, “Now watch this and you won’t ever have a problem opening a bottle again.” She put the cap between the door and the jam, closed the door tightly on the cap and instantly turned it loose and opened the bottle. “Here you go.” She handed me the cap and my kombucha with a smile. I believe the whole room applauded. Dolores was always interested in the snacks and meals provided for her students. She particularly liked sweets and desserts and made it her business to know if there were leftovers treats like cookies. She would suggest to people they take handfuls or armfuls with them on their way out, she did not want to see them go to waste. At mealtimes, in a groups, when it is normal for someone sitting there to be telling a story, Dolores sometimes would be like the excited little kid who shifted and squirmed waiting for the person to be finished because she wanted to make sure to have her own story heard. I was always tickled to see that from her. The beloved author who’d written so many books for the world, read by millions would sometimes innocently interrupt the other’s story so she could hurry up and share hers so no one would miss out hearing about the adventure she had or the extraordinary thing she discovered. Dolores Cannon was a trailblazer extraordinaire. She wasn’t afraid of tackling the big subjects, life’s great mysteries, the taboo topics. She approached them with her great curiosity and razor sharp mind. But Dolores was indeed the sweet grandmotherly person she appeared to be, and that was no act. So many memories of her will forever be etched upon my mind as we continue walking on in her very large footsteps. Dolores’ life had such amazing balance. A large family at home and a large family of students. She traveled the world many times over, feeling happy, comfortable and safe everywhere, but still glad to return home. Famous yet humble. Tough as nails but as caring as the great-grandmother she was. You get the idea. She is missed by so many. So on the anniversary of her passing we acknowledge her incredible courage and prolific discoveries but also honor her genuine humility and humanness and celebrate these small and ordinary moments that made her so endearing. Great tribute Candace! I also am one of the many who discovered her late and in trying to read as many of her books that I could before meeting her or taking the QHHT sessions, she passed on. But, her spirit is still working because I find that I often refer to her books/findings with acquaintances who seem to have an open mind or perhaps are one of the three waves of volunteers who are on a mission to help earth during it’s transition.